If legendary singer Mohd Rafi is regarded as the Monarch among singers of Bollywood than S.P. Balasubramaniam is unarguably the doyen of South Indian film industry. However the humble S.P. Balasubramaniam has highest regards for the veteran singer Mohd Rafi and admires him as the greatest singer of India. Winner of umpteen awards including Indian government’s highest civilian awards Padmashri (2001) and Padma Bhushan (2011), S.P. Balasubramaniam also holds the prestigious Guiness Book of World Records for singing maximum number of songs (a staggering over 40,000 plus songs) in multiple language in Indian languages like Telugu, Tamil, Kannada, Malayalam, Hindi, Tulu, Oriya, Assamese, Punjabi etc. in a career spanning four decades. The maestro S.P. 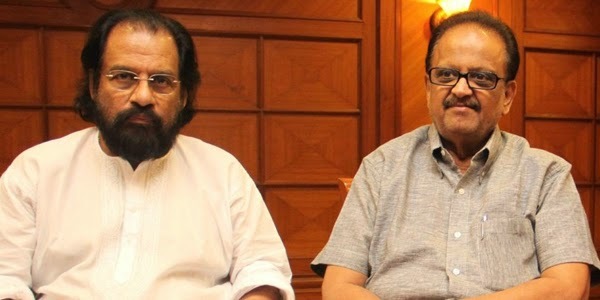 Balasubramaniam, better known as SPB in film fraternity, turns 68 today; Raaga.Com wishes him many happy returns of the day and prays for his good health. Singing is an art which is bestowed by Almighty to a selected few and one among the fortunate is S.P. Balasubramaniam, who despite lacking formal training in either Hindustani or Carnatic music, has no hindrance whatsoever in singing even classical based songs remember the super hit songs of SHANKARABHARANAM (Telugu) that had intense use of Carnatic music but Balasubrahmanyam faced no barriers and went away winning the National Film Award for Best Male Playback Singer to the amazement of the so-called gurus of classical music!